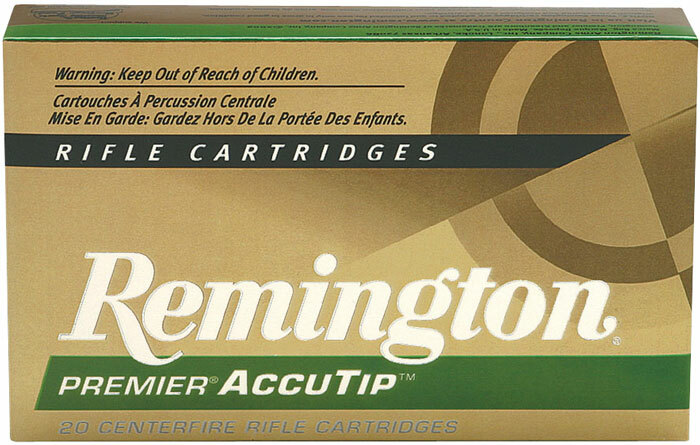 Remington Premier AccuTip is the most accurate line of rapid expansion polymertipped bullets available on the market today. Featuring precisionengineered polymer tip bullets designed for matchgrade accuracy sub minuteofangle Premier AccuTip offers an unprecedented combination of superflat trajectory and deadly downrange performance. The RemingtonPremier AccuTip line is comprised of 2 distinct configurations of polymer tipped bullets designed to meet the separate needs of both varmint and big game hunters.